Home / Roblox / Superhero Simulator / Roblox Superhero Simulator Gameplay! 2 Codes! Fighting Criminals and GHOST! 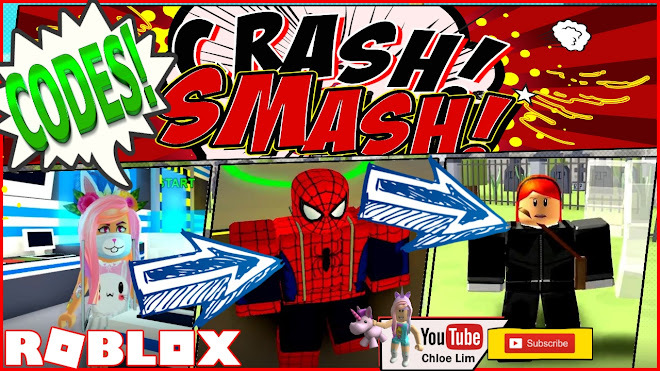 👊💥 Roblox Superhero Simulator Gameplay! 2 Codes! Fighting Criminals and GHOST! LOUD WARNING! 0:02:01 Checking out the Shop! DO I REALLY HAVE TO BE SPIDER-MAN! 0:04:02 Trying out the Battle! BAD IDEA! 0:05:31 Buying and going to the Prison Area! 0:08:31 Buying and going to the Graveyard Area! 0:09:15 Look! A stuck in the wall Soldier from the next area! 0:10:32 Going to the Shop! Buying the Black Widow superhero Suit upgrade! -- Roblox Superhero Simulator By Denis Games! Criminals and Villains have escaped onto the streets of Roblox City! Fight as your favorite super heroes in Superhero Simulator!